Today the attention of hundreds of millions of people in our world is riveted to the main sports event every four years – the Olympic Games. To watch manufacturers is a good time to present their latest new theme. 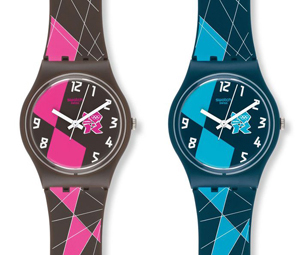 Watch company Swatch is also not left out from the main sporting event in 2012 and has released two new models of watches dedicated to the Olympic Games in 2012. New items included in the collection of Olympic Games Collection. Dial and strap watch adorned with the Olympic emblem in 2012. In the design of new products used in two color schemes – blue, pink and blue and brown. Hours are completed with a special theme box. 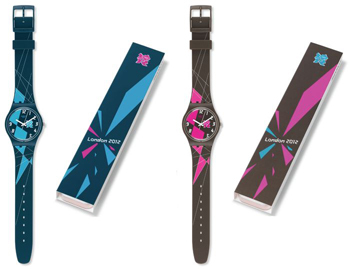 Recall that “Olympics,” a collection of Swatch launched in 1984.